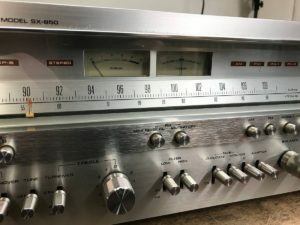 For sale is a classic Pioneer SX-850 stereo receiver, electronically restored and in great condition. 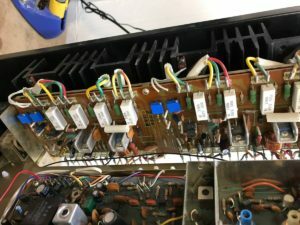 This unit has had all the electrolytics replaced with audio quality components. 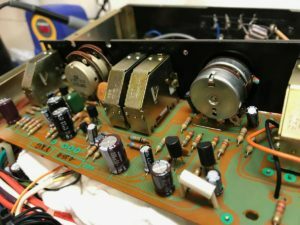 Commonly troublesome diodes and transistors were replaced with high quality modern equivalents. The controls were all flushed clean with DeOxit. 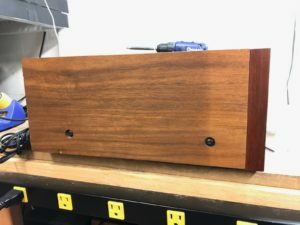 The wood case was restored to its natural looking finish. The unit was realigned for D.C. offset and Bias to factory specs, with brand new high quality trim pots. The dial lamps and all indicators were replaced with LEDs to prevent heat and prolong life and reliability. 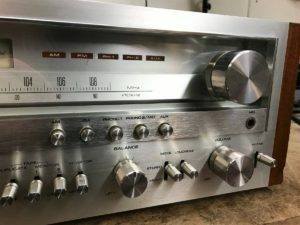 The am/fm section was left original as it was working. 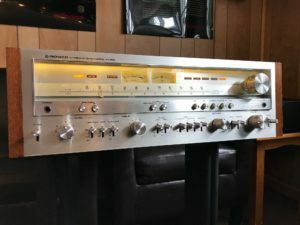 Great condition for its age, but has minor wear and blemishes, see pictures. 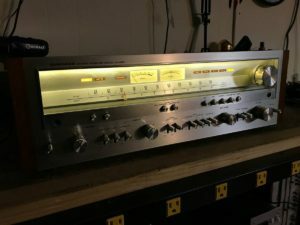 After the unit was restored and re-aligned, it was play tested fo many hours to insure perfect operation. 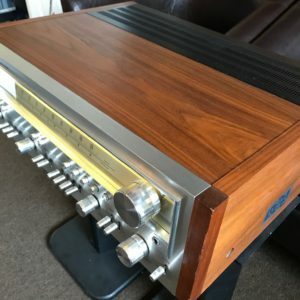 It will be played and tested again before shipping. 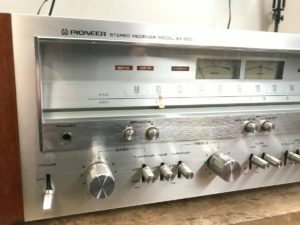 The Pioneer SX-850 is a high power AM/FM stereo receiver with super-quiet phono equalizer and outstanding FM selectivity/sensitivity. 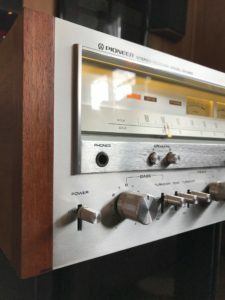 How do you know when to trust a stereo receiver to fill your musical needs? 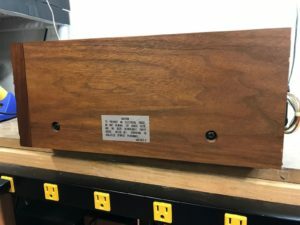 Power output by itself is not much help, because unless your listening room is the size of a concert hall, a receiver with far less than concert-hall-sized output will do nicely. 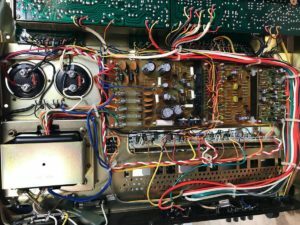 The answer, obviously, is to put your trust in the circuitry the kind that you’ll enjoy in the pioneer SX-850. 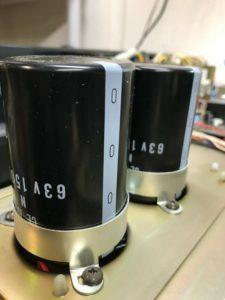 It delivers a continuous power output of 65 watts per channel, min RMS at 8 ohms, from 20 to 20,000 Hertz, with no more than 0.1% total harmonic distortion. But even more importantly, it has the strength and finesse to handle that power with a healthy respect for musicality. The SX-850 has a super-quiet phono equalizer in a 3-stage direct-coupled design to achieve wide dynamic range and +- 0.2dB RIAA equalization accuracy. 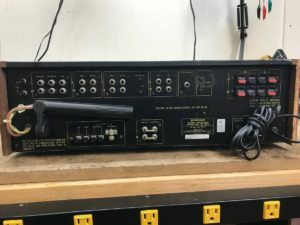 A FET in the Tone Control section, plus a 2-step frequency turnover switch for Bass and another for Treble, 2-deck monitor/dubbing, 2-system speaker drive, separable pre/main and more, mean further control versatility. 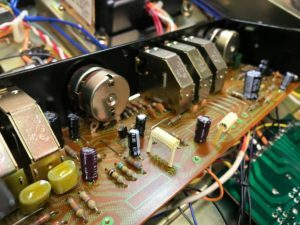 The superb FM/ AM section uses a dual-gate MOS FET and a 4-gang variable capacitor to boost sensitivity and selectivity, a PLL IC in the multiplex to improve stereo separation, and a special Integrated Circuit in the AM for still better reception and less noise. It’s the Pioneer SX-850 – the one you can trust to keep faith with your musical needs.